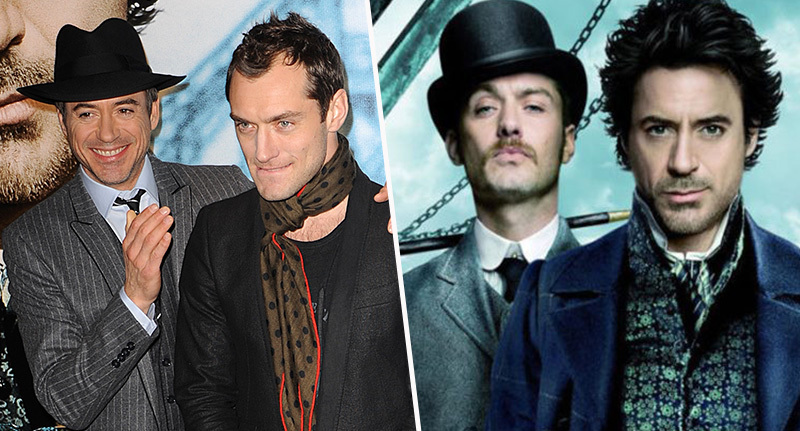 Robert Downey Jr. and Jude Law will reunite for the threequel to 2009’s Sherlock Holmes blockbuster – but a little later than expected. The release of Sherlock Holmes 3, the third in the period detective franchise, has been pushed back to December 22, 2021, Warner Bros. have announced. It was previously set for release on Christmas Day next year, in 2020, almost a whole decade after the release of the first two installments, Sherlock Holmes and Sherlock Holmes: A Game Of Shadows. While the film still has no director attached, it seems Robert Downey Jr. will return to play the titular character, and Jude law, his sidekick, Watson. There’s been no mention of Guy Ritchie returning to helm the project after directing the first two movies. If the studio sticks to the film’s new date it’ll have been more than ten years since the pair graced the big screen. Anyone who knows Sherlock will know nothing is by chance – and it seems Warner Bros. are taking a little leaf out of the detective’s book on this decision. After all, the two prior films made over a billion dollars between them worldwide. So, what would the story of the threequel entail? Well, last August, Law – who’s recently been playing a young Albus Dumbledore in the Harry Potter franchise – spoke to Entertainment Weekly about returning to the role of Dr. Watson after such a long time between sequels. We hope to propel the story forward. As always, the essence of the story is their codependency. We’re going to examine — since it’s been several years since we’ve seen them — we’re going to play up the fact that they haven’t seen each other for a long time either. Both actors have been a little bit busy of late reprising their roles in something called the Marvel Cinematic Universe, with Law picking up his new part as Yon-Rogg in Captain Marvel, alongside Brie Larson in the titular role of Carol Danvers. Downey Jr. recently reveled in his role as Tony Stark in Infinity War, and delivered a contender for the most heart-wrenching scene in the universe’s history when Peter Parker faded to dust. Whether he’ll be bringing a similar darkness to the Holmes franchise remains to be seen. Meanwhile, Sherlock Holmes 3 will open five days after James Cameron’s Avatar 3 and on the same day as Sony’s Hotel Transylvania 4, reports Variety.